When’s the last time you made a Baked Alaska — or, have you ever? 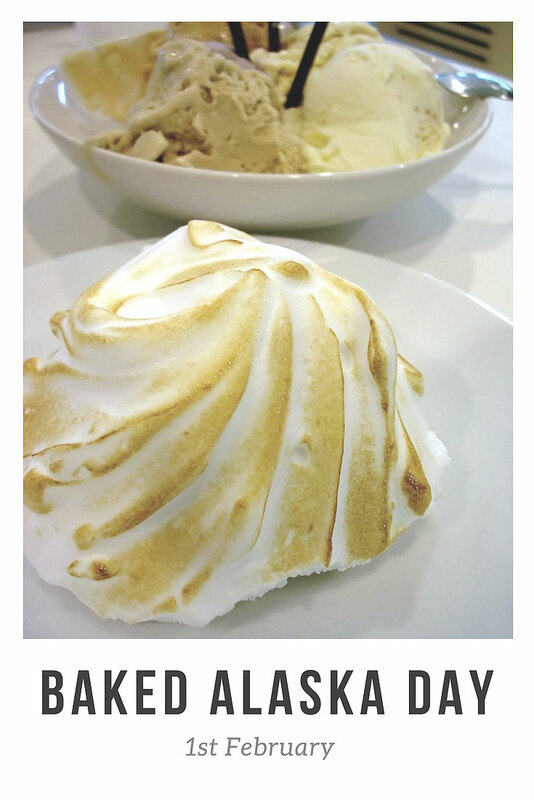 With Baked Alaska Day once again upon us, it may be time to give it a try. It is really dead easy to make, consisting of just 3 items — cake, ice cream, meringue. For your first time out, why not focus on the technique and timing by cheating on the cake base by either buying it or whipping it up from a mix? Granted, making a Baked Alaska used to be even easier in the old day, when ice cream was sold in bricks. With ice cream now coming in fancy tubs now, you’ll either have to mould the ice cream to a shape that interests you, or go with the tub shape. In compensation, at least now you can buy small cartons of egg white, already broken open and separated from the yolk for you, that will help make up for the lost time on the ice cream. A question that remains, however, is why this isn’t observed the same day as Alaska Day, which is 18 October? Maybe it’s so that Alaska is guaranteed at least two days of each year at the top of everyone’s mind.